Autodesk’s President and CEO, Andrew Anagnost, kicks off AU 2017 with a unique perspective on automation and the Future of Work. Passionate about the topic, Andrew gives you the confidence to embrace this new future, and guest speakers share insights to help you thrive in this new world of working. You are left informed and excited about this future. Andrew Anagnost is the President and Chief Executive Officer of Autodesk. Anagnost’s career spans more than 25 years of product, business, and marketing experience focused on driving strategy, transformation, and product development and includes positions at Autodesk, Lockheed Aeronautical Systems Company, and EXA Corporation. He also completed a doctorate degree at Stanford University and worked at NASA Ames Research Center as an NRC post-doctoral fellow. Anagnost began his career at Autodesk in 1997 and has held a wide range of roles in the areas of marketing, new business development, product management, and product development. Prior to becoming President and CEO in June 2017, he served as Chief Marketing Officer and SVP of the Business Strategy & Marketing organization. In this role, Andrew served as architect and leader of Autodesk’s business model transition moving the company to become a software-as-a-service (SaaS) solutions provider. Previously, Anagnost held various executive positions across Autodesk. Early in his Autodesk career, he led the development of the company’s manufacturing products and grew Autodesk Inventor revenue to over $500 million. Anagnost is a member of the Autodesk Board of Directors. He holds a Bachelor of Science Degree in Mechanical Engineering from the California State University, and holds both an MS in Engineering Science and a PhD in Aeronautical Engineering and Computer Science from Stanford University. Coming about six months after its major Windows releases, Autodesk, Inc. announced today the releases of AutoCAD 2015 for Mac and AutoCAD LT 2015 for Mac. Although Autodesk estimates that only 1-3% of all Macs run CAD software, this is still a significant milestone for AutoCAD for the Mac platform, now in its fifth release. Significant because in the five years since the first release of AutoCAD for Mac, the Mac platform base and presence has expanded from about 15 million to today’s approximately 80+ million. A nice increase in potential market. Technology is transforming the way we design and construct everything, from buildings to cities and the infrastructure that connects them together. The rise of reality capture, cloud computing, gamification, and social and mobile platforms as well as building information modeling is dramatically extending how the AEC industry creates value. But product and service advances are by themselves not enough. To drive innovative projects, we need to move from designing objects to designing complete systems. Leading industry innovators demonstrate the power of collaborative, integrated, holistic design and construction. Manufacturing matters. Today, advances in technology are transforming the way we make things. Promising new technologies, such as additive 3D printing and advanced robotic automation, have the potential to change how objects are fabricated and assembled. New open and crowdsource platforms are transforming the tools and workflows of manufacturing. Intelligent materials will enable manufacturers to create products with fantastic new properties. The New Industrial Revolution Innovation Forum brings together trailblazing innovators who are changing the way we manufacture. They distill the real practices from the public-relations hype, show what is immediately available and what is over the horizon, and describe how businesses, both large and small, can take advantage of the emerging revolution. I had the privilege of interviewing Justin Lokitz at our studio at our Campbell headquarters in the heart of the Silicon Valley. Justin is Senior Product Manager for Infrastructure & Collaboration Products at Autodesk. He is extremely knowledgeable and passionate about the new release. He talks about the history and evolution of InfraWorks 360 Pro as well as gives some fascinating applications of this product to make decision making easier for city planners. He also talks about how companies bidding on infrastructure projects gain a competitive benefit by using InfraWorks 360 Pro. Carl Bass is president and chief executive officer of Autodesk, Inc. Autodesk is the leader in 3D design, engineering and entertainment software. Formerly he was Autodesk’s chief operating officer, responsible for worldwide sales, marketing, and product development. According to the report “The Business Value of BIM” by McGraw Hill Construction, around 58 percent of the architecture firms in the United States were using Building Information Modeling (BIM), as of 2009. With more and more construction firms using BIM to their advantage, it is always a good idea to be more informed about the benefits offered by BIM. Contrary to common misconceptions, BIM is not just a technology, but a better approach towards designing, construction, and management of a construction project. Here, we will take a look at some major benefits of using BIM, so as to understand why this is a better approach towards building. 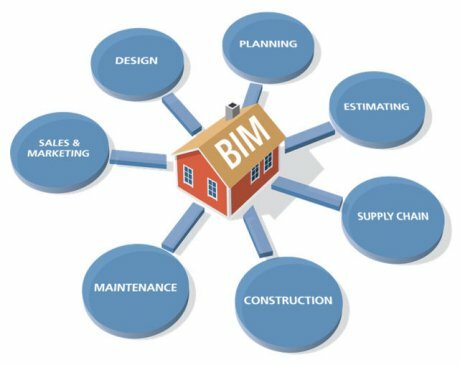 Effective utilization of BIM helps reduce manual errors, decrease costs, increase productivity, and improve quality of a construction project. Be it designing, construction, and management, BIM contributes to each and every phase a project in order to make the process easier, error-free and more effective. Following are the three major benefits of using BIM. This video is a recording of the AEC Building Design press session staged on 27 March 2012 to support a Media Summit to launch Autodesk’s 2013 portfolio of software and services. Highlights from Autodesk’s Carl Bass’ address at the BSR (Business Social Responsibility) Conference 2011. Ranked at the top of corporate responsibility events globally, the annual BSR Conference attracts more than 1,000 senior business executives, entrepreneurs, and distinguished leaders from the public sector and civil society. Now entering its 20th year, the Conference provides participants unrivaled opportunities to engage with sustainability leaders and practitioners to build the business of a better world. Plenary sessions feature global corporate leaders at the forefront of responsible business whose dynamic leadership strategies are boosting the bottom line and benefiting the world. Presenters follow a unique format which allows participants to get up close and personal with these industry luminaries. The I3 plenary presentations feature innovative and inspirational speakers from different aspects of society who motivate, inform and encourage participants with their extraordinary stories. Outside of the plenary presentations and I3 speakers, there are over 35 breakout sessions scheduled over three days. With two types of sessions, the customizable agenda allows you to plan your schedule with a variety of topics and session lengths that suit your needs. The two-hour working sessions thoroughly examine a diverse range of topics by integrating presentations, case studies, and group discussions into a collaborative, workshop-style setting. One-hour conversations present an intimate forum for participants to hear from and engage with a cross section of global business and sustainability leaders who are addressing new ideas and practical solutions for sustainable business. In addition to the sessions, the BSR Conference provides ample time for networking at meals, afternoon breaks, evening receptions and after-hour events.